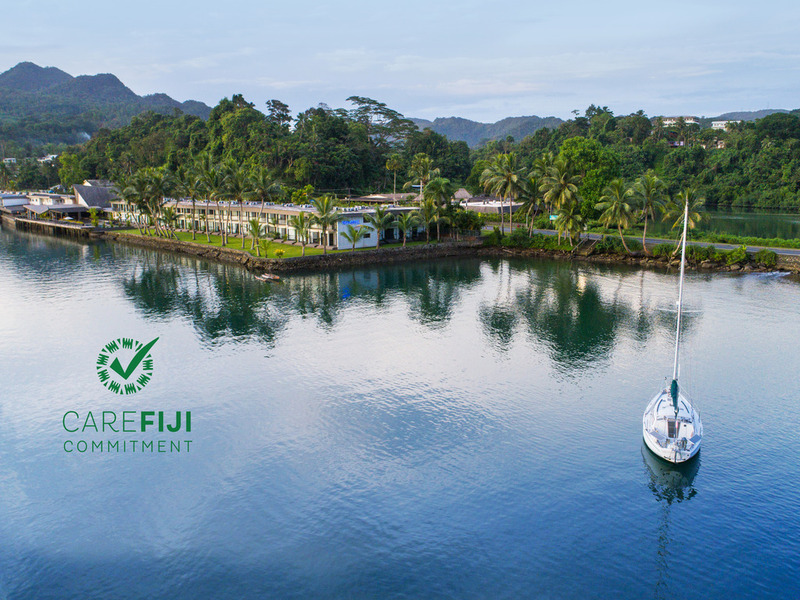 Treat yourself to a 4-star waterfront tranquility, 15 minutes drive from the capital at Novotel Suva Lami Bay hotel. Awake to dazzling garden and island views from your modern room's balcony. Enjoy a delicious waterfront breakfast while feeding the fish, and the well-stocked tropical bar lets you unwind island-style at Novotel. Perfectly positioned on the edge of Suva Harbour in Fiji's capital, Novotel Suva Lami Bay is a tranquil spot to enjoy rest and relaxation during your Fiji holiday.